Wheat (Triticum spp.) is the world’s most important food crop. Production is based almost entirely on two species. T. aestivum, common or bread wheat, accounts for about 95% of world production and T. turgidum ssp. durum, macaroni or durum wheat, accounts for the other 5%. The remaining cultivated species are largely historical relics, though they can be locally important and are making a comeback in some places. Wheat is the world’s most widely grown crop with a global production of over 600 million tons produced from about 210 million hectares in many different countries in Europe, Asia, North Africa and the Americas. The area sown to wheat has doubled over the past 50 years and production per hectare has almost tripled. This increase in production is due in part to the efforts of national, regional and international breeding programs to release improved cultivars. Wheat is also the world’s most widely traded food grain, with about 105 million tons or about 18% of world production traded each year. Cultivation and domestication of wheat began around 12,000 years BP in the area known as the Fertile Crescent in the Middle East. From there, wheat spread widely through Europe and Asia and then to the Americas. Cultivated wheat species belong to three ploidy groups with chromosome numbers of 2n = 2x = 14 (T. monococcum), 28 (T. turgidum and T. timopheevii), and 42 (T. aestivum and T. zhukovskyi). Other classifications divide wheats into hulled and free-threshing, and spring and winter types. Wheat is strategically very important in food security and trade for many countries. Breeding for adapted and suitable new varieties is critical to improve livelihoods and ensure that national industries remain competitive, and requires access to the full range of wheat diversity. Modern and obsolete improved varieties are generally well conserved. Landrace varieties continue to be a priority for conservation as a result of the increasing threat of disappearance by the spread of improved modern cultivars. Their seeds tend to shatter more than those of crop cultivars, so seeds are more difficult to capture, increase and maintain. Field regeneration is problematic due to their potential to become introduced weeds in the surrounding environment. They were usually seen to be less threatened with extinction, because they are able to reproduce in nature. Unfortunately, changes in land use mean that many of these populations are now at risk of becoming extinct. Wheat seeds store well in cold (0°C to 10°C) and dry (3–7% seed moisture). Low relative humidity in the storage room (25% to 35%) is more important to seed longevity than low temperature. Globally, there are more than 80 wheat collections, holding more than 800,000 accessions. It is commonly assumed that there is substantial duplication of accessions within and among collections, though further research on the extent of this duplication is required. Larger collections include those at CIMMYT, Mexico (>100,000 accessions) and USDA-NSGC, Aberdeen, Idaho (nearly 40,000 accessions). The Vavilov Research Institute (VIR), Russian Federation, ICARDA, NBPGR, India and Instituto del Germoplasma, Bari, Italy each hold about 30,000 accessions. Several smaller, specialized collections of wild wheat relatives and genetic stocks are important for the diversity they hold for future breeding and research. Gill BS, Friebe B. 2002. Cytogenetics, phylogeny and evolution of cultivated wheats. In: Curtis BC, Rajaram S, Gómez Macpherson H, editors. Bread Wheat: improvement and production. Food and Agriculture Organization of the United Nations, Rome, Italy. pp. 71–88. Pardey PG, Koo B, Van Dusen ME, Skovmand B, Taba S, Wright BD. 2001. 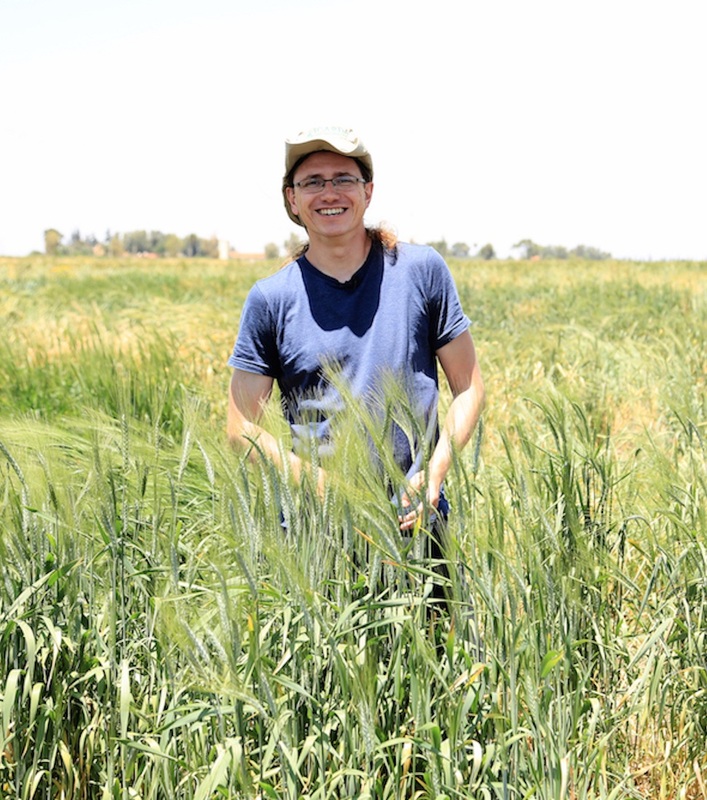 Costing the conservation of genetic resources: CIMMYT’s ex situ maize and wheat collection. Crop Science 41(4):1286–1299. Warham EJ, Butler LD, Sutton BC. 1996. Seed testing of maize and wheat: A laboratory guide. CIMMYT, Mexico and CAB International, UK. Contributors: CIMMYT – Wheat, Mexico (Thomas Payne) and ICARDA (Ahmed Amri) with inputs also received from CIMMYT – Maize, Mexico (Suketoshi Taba); USDA – National Small Grains Collection, Aberdeen, Idaho, USA (Harold Bockelmann); CGN, Wageningen, The Netherlands and IPK, Gatersleben, Germany (Helmut Knűpffer). External reviewer: Jan Valkoun (Czech Republic). Information on current practices for genebank management of wheat was gathered from current genebank practices and accumulated experience from CIMMYT and ICARDA, reviewed from literature and existing websites of major genebanks (CIMMYT, USDA-National Small Grains Collection (Aberdeen, Idaho), CGN-Wageningen, and IPK-Gatersleben). This provided the basic information for selection, justification and recommendations that were then validated by the crop experts.